" For individual projects, I can now easily invoice them as soon as I finish the job. This has saved me ten hours of valuable time each month. " With tight deadlines and multiple projects, Lena Shore had a hard time staying on top of her invoicing. Before she decided to start her own business as a freelance web developer and graphic designer, Lena was an art director at a large corporation, primarily focused on developing visual style for the company. But when she started her own business, she had to play many roles: marketing manager, sales manager, project manager, and finance manager. In addition to wearing many different hats, she also had to manage her paperwork. So she decided to do what any person new to running their own business would do. She experimented. “I used to bill my customers at the end of every month for my web hosting services. I started to postpone invoicing for my one-time projects so that I could do it all it once,” Lena said. But her decision created two problems: 1) She had to keep track of all the services she provided that month, in addition to the corresponding charge, and 2) she might have to wait several weeks after the project was completed to get paid. Frustrated, Lena looked at the internet for a solution. She tried out as many as 20 different standalone and cloud-based software solutions, including QuickBooks, MYBO, and Freshbooks, all of which fell short of her expectations. But then she found Zoho Invoice and immediately signed up for a free trial. She was won over right away, and in a couple days, she subscribed. 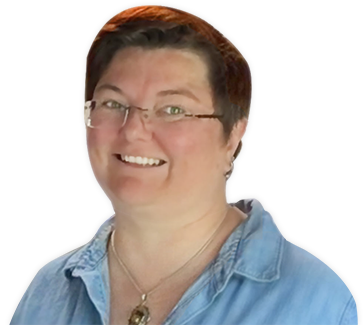 For her web hosting services, Lena bills her clients monthly, quarterly, and yearly. 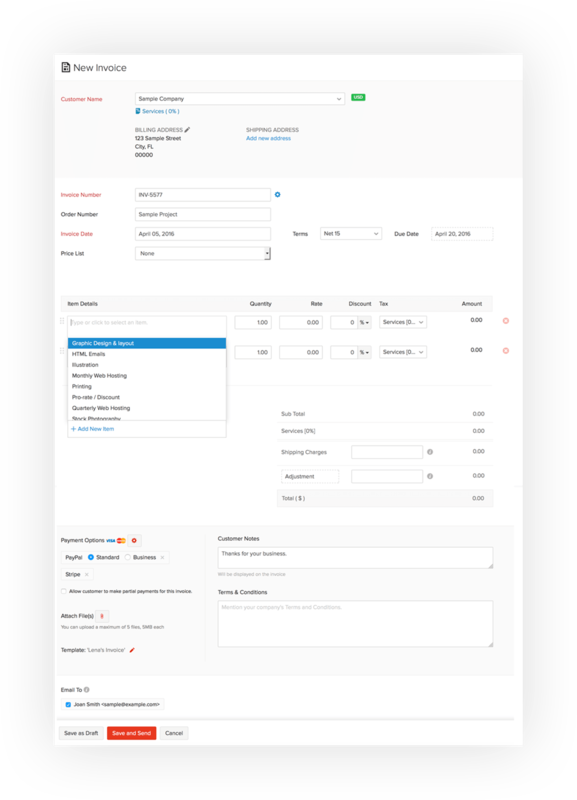 So with Zoho Invoice, she created a recurring invoicing profile for each customer with the frequency, service description, and rate. 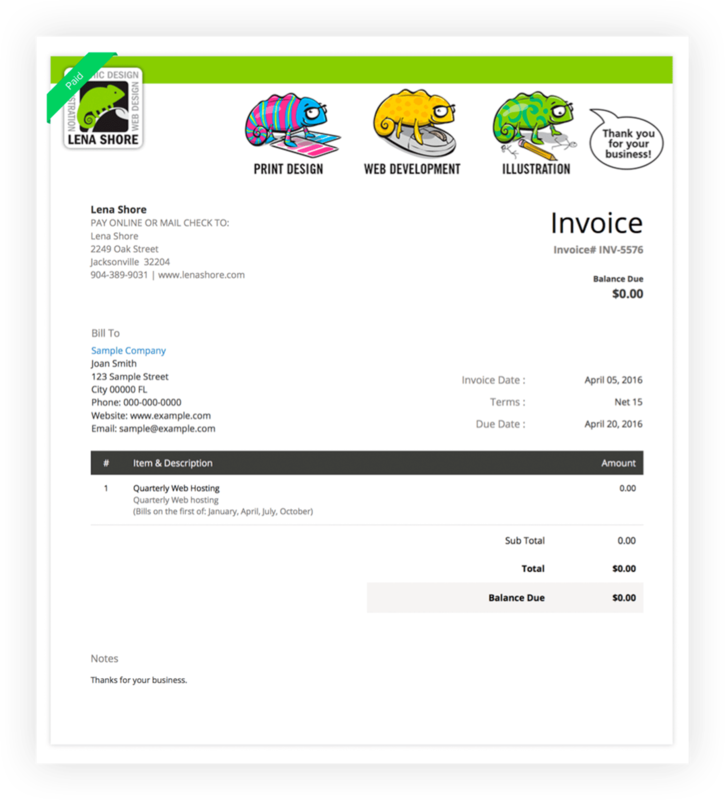 Zoho Invoice uses this information to automatically send invoices at intervals specified by the user, or, in this case, Lena. Billing her customers for one-time services takes Lena less than a minute. She fills in the customer’s name, invoice due date, the services provided, and hits send. In addition to helping Lena manage her invoicing, Zoho Invoice gets her paid on time. With Zoho Invoice, Lena has saved 10 hours of invoicing each month. Find out how many hours you can save with Zoho Invoice.